Saturday, February 5th was our 2nd Anniversary. Flowers arrived at the clinic Saturday morning – a gift to Dr. Frank and Kris from the staff. 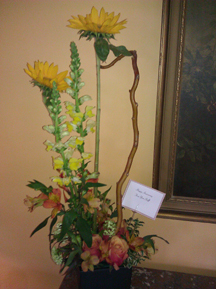 The florist, Woodinville Florist, is one of our clients. They did an exceptional job of making an arrangement to fit perfectly with our furnishings and atmosphere. That evening Dr. Frank and Kris treated the staff to dinner in Edmonds at Girardi’s Osteria. Excellent food and friendly service – a wonderful way to celebrate!! Q: Do cats stay still for acupuncture or do they need to be sedated? Dr. Frank: Typically cats do not need to be sedated for acupuncture. This is partially because the needles are so thin (.02mm wide) that acupuncture is really not painful to the cat. They might feel a slight prick when the needle is first inserted or they may have particularly sensitive areas, but after the needle is inserted there remains no lingering pain. In contrast, acupuncture frequently will make a cat very relaxed, causing them to lay down during the treatment. This is due to the increased flow of energy and circulation which warms and relaxes the body. Q: What feline medical conditions might benefit from acupuncture treatments? Dr. Frank: Feline asthma or other respiratory issues; kidney and bladder diseases; lameness; digestive disorders. 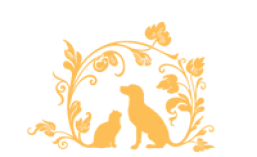 This entry was posted in Acupuncture, All, Cats, Holistic Care and tagged acupuncture, cat vet, holistic vet, small animal vet, veterinary, vets in monroe. Bookmark the permalink. ← Who is Dr. Frank?